Fees associated with filing industrial design applications in Belarus as well as other design fees are available in the fee calculator. The deadline for filing an application to register a design in Belarus claiming priority is six months from the date of priority. This term can be restored within two months from the lapsed term. It is possible to request registration of several designs (multiple design application) provided that they belong to the same class of the Locarno Classification and concern the same object or may be identified as a kit of goods and have a single design concept. When filing a multiple application, the applicant must specify the number of designs. An additional fee must be paid for each design. The examination according to the requirements of patentability is not conducted in respect of industrial design applications in Belarus. Disclosure of the information about the design shall not disprove its novelty if it was made by the inventor or the applicant or a third party that obtained said information directly or indirectly from them and if said disclosure occurred within 6 months before filing the application with the Belarus Patent Office. The official fees for grant and publication should be paid within three months from the date of receipt of the decision to register a design. The first design annuities starting from the 1st year, if they are already due, must be paid within this term as well. All next annuities are paid before the beginning of the next year. The industrial design registration in Belarus is valid for ten years with the possibility of extension for additional five years. The extension may be conducted in case the owner provides the corresponded request before the expiration of design validity term. The grant fee must be paid within 3 months from the decision to register a design. It is necessary for the foreigners to perform industrial design prosecution in Belarus through an agent, a registered Belarusian patent attorney. The legal protection may be granted to new and original artistic solutions which determine the appearance of a product. 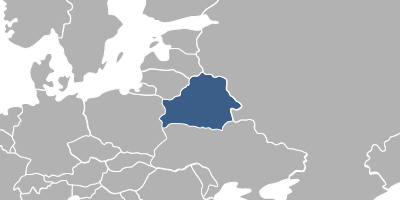 Online Search Database for Belarusian Designs.